Cut cucumbers into bite-size pieces. Boil all ingredients except the cucumbers. Pour seasoned liquid over cucumbers. Pack in airtight jars and refrigerate. Note: Japanese or pickling cucumbers are best. Other vegetables such as Napa or cabbage can be used. Bring to boil water and salt and pour over cucumbers, let stand 1 hour, drain. Bring to boil and pour over cucumbers which are in jars. Strain all liquid off before pouring sauce. May be eaten next day. 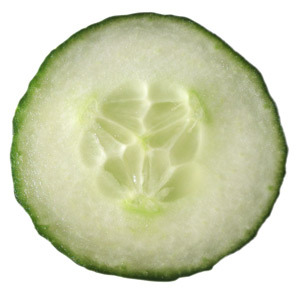 Cut approximately 4 young cucumbers (8 inches long) in 1/2 inch rounds or however you desire. Toss the above ingredients over cucumbers. Sometimes I mix in the morning and it is ready by dinner or leave overnight. Use a plastic container with cover or a large jar with lid. Add salt, sugar, and pour beer over cucumbers. Stir or roll every half hour until salt is dissolved. Let it sit for a day at room temperature, then refrigerate. Last month Shirley Huchison pointed out that I omitted the oven temperature in the Rhubarb Pecan Muffins. It is 400 degrees. Thanks Shirley and I am so sorry for the omission. Next story As Wine Culture Spreads Around the World, Is Sake’s Domain Safe?